When it comes to repairing cracks, punctures and small leaks in your ceilings and walls, Chris' Advanced Drywall Repair is the #1 choice for Mission Viejo drywall. From punctuality, cleanliness and our customer's satisfaction always our highest priority, Chris' Advanced Drywall Repair's Mission Viejo drywall repair services are unmatched among the competition. Our attention to detail provides quality workmanship for every drywall repair job. When Chris' Advanced Drywall Repair repairs Mission Viejo drywall, we consistently follow our step-by-step repair process to ensure nothing goes amiss. Whether the area in need of drywall repair is large or small, Chris' Advanced Drywall Repair knows how to work with Mission Viejo sheetrock, plaster, and stucco. From start to finish, we guarantee the finished product will be a natural look as though the wall was never damaged. and much more, just call your Mission Viejo drywall repair experts at (949) 945-0299. Whether the damaged area is large or small, our professional Mission Viejo drywall repair specialists will have your drywall in Mission Viejo look new again in no time! When it comes to properly repairing Mission Viejo drywall, choose the best people for the job. Choose Chris' Advanced Drywall Repair: the preferred and trusted choice for drywall repair in Mission Viejo, California since 1987. 5★★★★★ - "I had a major roof leak with lots of drywall damage. Called Chris and his crew, they came out and did a fantastic job"
5★★★★★ - "Gave a quote over the phone. Had a professional qualified crew at my house the same week. Did an amazing job and protected my furniture and everything in my house! This company is the best!" 5★★★★★ - "My experience with Chris and his crew was the greatest, with the work being done quite super in nature." 5★★★★★ - "Chris is great! He came out next day for me when we needed a repair done while we were in escrow. I will definitely be calling him for fixes on our new place!" 5★★★★★ - "I have used Chris Advanced Drywall repair on several occasions in a town-home rental I own in Costa Mesa. Over the last five years, I have found them to be professional, courteous, clean, reasonably priced and most important excellent in the craft of drywall repair. Whether it is a wall or ceiling patch work or texturing, the word advanced is certainly an accurate description of their efforts in pleasing their clients. Thanks again Chris for all the great work and fair and ethical pricing!" 5★★★★★ - "Chris quoted over the phone for my drywall repair needed due to a slab leak. The price was comparable to other bids I had. I chose Chris' bid because he could schedule me for the next day. He and his assistant Ismael came at the appointed time the next morning. Ismael did the actual repair work. He was very pleasant, efficient, precise, neat and clean. I'm very pleased with the work and definitely recommend Chris' Advanced Drywall Repair." 5★★★★★ - "Chris does great work. He repaired recent damage I had from a slab leak, fixed ceiling damage from and old leak and even reworked his bid on the spot to include a ton of cosmetic work I decided to have done. The texturing all matches and now everything looks better than new. His total price was very reasonable. I plan on calling him back for my bathroom remodel." 5★★★★★ - "Chris showed up next day after my call as promised to do a small repair job I didn't want to hassle with. Fast, excellent work, and I'm so happy to have it taken care of. He textured the repair area to match the existing wall perfectly. Top notch work. Nice guy too. Highly recommended." 5★★★★★ - "Chris was quick to respond and do the job, even though it was a small one. He performed quality work for a good price." 5★★★★★ - "Needed ceiling patched and painted after new recessed lights were installed. Called Chris and he was able to take care of it the next morning. Great, fast work. Thanks!" 5★★★★★ - "I had Chris repair drywall in three bathrooms and he did an outstanding job! He was there in 2 days and finished in a day and a half. Great work!" 5★★★★★ - "After discovering a small water leak, I called Chris to schedule an appointment. He quickly put my concerns to rest by showing me the water had not affected the drywall. He quickly patched the area and finished it perfectly. Fair price. I would highly recommend Chris' Advanced Drywall Repair." 5★★★★★ - "We had a critical drywall repair at our business and Chris' crew was able to come out the next day for repair! One repair was due to somebody that had 'stepped through' the ceiling. The patch was so perfect that we could not see the original damage. They even added some orange peel to an old patch that somebody had done years earlier and made that old patch blend into the ceiling. I would recommend them for any size job at home or business! 5★★★★★ - "Chris had his team (lead by Felipe) out to scrape, sand and mud our downstairs popcorn ceilings. They were polite and cleaned up everyday they left. The ceilings look so great! Thank you Chris and Felipe!" 5★★★★★ - "I had a hole in my ceiling from when my husband lost his balance in the attic (fortunately he wasn't injured). Chris came in and fixed to hole in the ceiling. From set up to clean up he was done in an hour." 5★★★★★ - "This is a great company. I stepped through my ceiling and Chris was able to come out the next day and repair it perfectly at a fair price." 5★★★★★ - "Needed immediate help with large plaster repair. Chris came the same day and did a first class job. Thanks." 5★★★★★ - "One call to Chris and he was on our problem fast! A water leak from the unit above us. Chris came out late afternoon on a Friday. What a Godsend! He assessed the severity of the issue quickly so the area could dry over the weekend. He came back Monday morning as promised to finish the job. Excellent work! Chris is super nice, easy to work with and very skilled. He knows what he's doing so don't worry! Communicates extremely well and at a fair price. We will definitely use him again and recommend him to our friends and family. Thanks again Chris! We appreciate it." 5★★★★★ - "This is the second time I have used Chris and Felipe. I love that I can text Chris pictures and he sends me a quote! I had a circular area that needed drywall. Felipe did a great job. He's neat, fast, and respectful! 5★★★★★ - "He was very quick. He did excellent work. He did not leave a mess either." 5★★★★★ - "So pleased I went with Chris and his crew, they did a fantastic job drywalling and texturing a large area, it looks lovely." 5★★★★★ - "Punctual, Patient, and Professional. Chris, along with Felipe and team, were an excellent resource for both my wife and I in the work done to our new home. The drywall work is beautiful and we could not be happier. I would highly recommend the team to anyone searching for drywall work in the Orange County Area." 5★★★★★ - "Chris did a fantastic job on a small drywall ceiling repair we needed. His quote was very reasonable, he was able to accommodate my time schedule. He showed up right on time, was friendly, helpful and did a perfect job in a very timely manner. I would use him again and highly recommend him to others." 5★★★★★ - "Chris came in when I needed a last minute repair done at my business. Thank you for the fast response time and your professionalism!" 5★★★★★ - "Had a pipe leak in my living room wall, lots of drywall soaked. Sent a text pic to Chris for an estimate. He responded right away with a very good price. Set up a repair date, and he was right on time. Did such a nice job, I had the whole house patched up. Chris is very professional, quick and leaves the house clean..."
5★★★★★ - "Chris is great. I had Chris do repair in my previous home after a remodel and now in my new home. He's does a great job. On time and professional." 5★★★★★ - "Chris is tops in his field. Perfection"
5★★★★★ - "I just bought a house and my teenage daughter decided she wanted to venture in the attic. Needless to say, I had a pretty nice hole in the ceiling. I called Chris in the morning and by the afternoon my ceiling was good as new. He did a flawless job. Thank you, Chris!" 5★★★★★ - "Chris gave me a great price and agreed to come to us within a days notice. We opted to postpone our project but I was impressed with his professionalism and customer service! I will use him down the road when we have the need again!" 5★★★★★ - "Amazing customer service, great quality work, and the best pricing I found after getting estimates from five other companies. His employee Felipe worked fast and did fabulous work. Chris kept me updated on the progress of our ceilings from start to finish. I would recommend him to anyone and will definitely use him again for future projects." 5★★★★★ - "Chris was excellent in quickly responding to my call, and very flexible in arranging a convenient time to do our ceiling repair. He was efficient, maintained a clean workspace, did excellent work, all with a pleasant, professional demeanor. Would highly recommend his service to anyone." 5★★★★★ - "Chris did an amazing job!! I had a water leak from my master bathroom that leaked through the ceiling onto the 2nd floor. After getting the leak fixed from the plumber, they said that we had a lot of mold that needed to be removed due to the leak. After calling many places, we were getting quotes from $3,000-$5,000 out of pocket! They said to get the insurance involved, however since I'm currently pregnant, I don't have time to wait and smell mold for weeks. I came across Chris's website through a Google search and gave him a call. He was able to give me a reasonable quote over the phone and have the job done the next day!! I booked it! When he arrived, he looked at the damage spot and said it was going to be an easy fix to get done. He placed plastic all over the floor and made an insulated area where he cleaned the mold. When he opened up the area of the ceiling, he said that there wasn't even that much mold to clean up! It was an easy job and not even worth the quotes I was getting. He cleaned up the mold and repaired the drywall in about 3 hours!! He did an excellent job! I'm very happy I went with Chris, his price was very reasonable and saved us thousands of dollars for a simple, 3-hour job!! Thank you so much Chris for the job well done!" 5★★★★★ - "Called & texted Chris a picture of my water damaged wall. He came out the next day & did a beautiful job... can't even tell the difference where the old wall & new drywall exists. Will definitely will use him again on my other projects!" 5★★★★★ - "We had a leak from our upstairs bathroom and needed the drywall replaced in a section of our ceiling downstairs. Sent photos to Chris and received next-day service! He is professional, friendly, and pays close attention to detail. Highly recommended and proud to support a local San Clemente business!" 5★★★★★ - "We used Chris about two years ago after a water leak and he did a great job. This time, we were on the tail end of a remodeling job and needed some holes in the ceiling patched where we had eliminated and moved some ceiling lights. My husband called and left a message for Chris on Christmas day, thinking he would call us back later in the week. Chris called back a few minutes later and made an appointment for the next day! He arrived on time, taped everything off so as not to damage my new cabinetry and countertop, and did a great job of repairing the ceiling. We will definitely use him again for any future drywall needs." 5★★★★★ - "I highly recommend Chris and his partner Felipe. They are skilled professionals and their work is outstanding. Beyond the standard dry wall work to close the framing around a new bi-fold door, our project entailed "lowering our ceiling" at a graduating proportion across a 10 foot spans. Chris worked tirelessly on the planning and Felipe's amazing skills made it all come together really well. They are honest and their prices are fair." 5 ★★★★★ - "Chris did an amazing job on a ceiling repair.He was very professional and went above and beyond to get the job done right." 5★★★★★ - "This is the second time I have used Chris. I love that I can text Chris pictures and he sends me a quote! I had a circular area that needed drywall. They did a great job. He's neat, fast, and respectful! Good job guys!!!" 5★★★★★ - "Chris responds right away when you contact him. This is so important when you are in need of fast, efficient service. Felipe did a wonderful job of patching the drywall in my kitchen ceiling after an upstairs' leak. You cannot detect where the patches were placed. They showed up on time. They were careful to lay down drop cloths and plastic to protect my home and cleaned up after the job. Chris also charged me less than 4 other quotes I received for the work. I would recommend Chris' Advanced Drywall Repair to anyone in need of fast, efficient, quality work." 5★★★★★ - "Super fast, efficient, and very reasonable prices. I had to have drywall repair in my water heater close, and I was expecting the worst on expense to repair. So relieved to have taken care of the issue so easily." 5★★★★★ - "We had to have extensive plumbing repairs done and subsequently ended up with three 8 foot holes in our kitchen ceiling and walls and two large holes in our dining room. We had no idea who to contact for a drywall job. My husband found 3 names in the phone book and I proceeded to go on Yelp to read the reviews. I was impressed with Chris' reviews and gave him a call. I also liked that he is a local business man. He asked us to send photos and within minutes he gave us an estimate, which seemed reasonable. This was on a Friday and they came first thing Monday morning. They finished the job by the end of the day. They even textured the dry wall! They cleaned everything up very nicely, were very professional and friendly. We will definitely use them again if we ever need drywall done again!" 5★★★★★ - "I've had two dry wall jobs performed by Chris and his company - one large and one small. Both jobs exceeded my expectations and at a fair price. If you need dry wall work and you don't call Chris, you're making a big mistake. These guys are the BEST!!!" 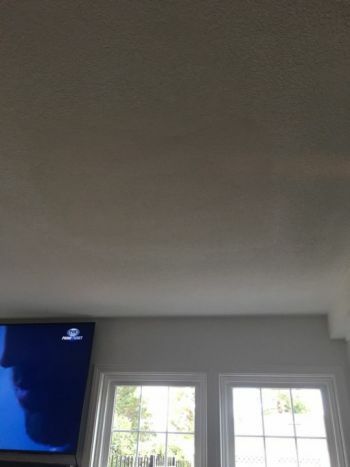 "After getting a leak repair by a plumber who had to go through the dry wall in the ceiling, I needed to get the hole in my ceiling repaired. The plumber had a recommendation that he praised highly. I couldn't find his recommendation on yelp so I found Chris with great reviews on here. I contacted the plumber's recommendation and Chris right after each other and sent a pic of the hole in the ceiling to both. Chris came back right away with a quote. It seemed good but I wasn't sure how much it should cost. When the plumber's recommendation finally got back to me more than a day later, his quote was almost 5x as much as the quote Chris gave me. The reviews Chris got on yelp along with his much lower quote made me choose Chris. He did a great job. He is personable and accommodating. He came by at 6:30 at night so I could meet him after my work. He didn't have his assistant with him so I filled in on assisting with handing him tools. I learned a little about how it gets done as well. Anyway, Chris did a great job, the ceiling looks great, and it came at a fair price. I definitely recommend!" 5★★★★★ - "I recently had my home re-piped and needed a second opinion on repairing the dry wall. Chris was recommended from a neighbor and the 3rd person that I interviewed. I was on a time crunch and needed someone to finish the job in less than 4 days at a fair price. I am extremely grateful to have found Chris because he was honest, hard-working, trustworthy and took pride in his work. My Wife is a perfectionist and Chris was able to make her happy. Thanks Chris!" ★★★★★ - "My work was started without delay and I was not disappointed! Quality work at a fair price. His staff is professional and they even left the job clean and tidy." ★★★★★ - "Service was quick and easy. Not one problem through the whole process. Definitely would use again and highly recommend ." 5★★★★★ - "Job well done. I enclosed a loft myself adding drywall. The wall originally was half way up but I took it to the ceiling. Chris quoted me over the phone for tape and texture and Chris' Drywall came to do an excellent job. I feared that the half line would show but they made it completely disappear. A++." 5★★★★★ - "This was our second time working with Chris and his team within 2 years. We sold our condo and bought a fixer upper in Yorba Linda. The home is older and has lathe and plaster walls. Chris's team was able to scrape all the ceilings and remove wood paneling. They insulated the wall where the paneling was and put up new drywall. They then finished off the wall to look like the rest of the house's lathe and plaster. Then after about a month we found a small crack in the ceiling from house movement. We called up Chris and they were out at the house within two days and fixed it perfectly. Definitely recommend Chris and his team to anyone." 5★★★★★ - "I just moved into a house built in 1987 that had an interior window from the entry hall to the office that was pointless and wasted wall space so I checked Yelp and called Chris. He called me right back and had me text him a photo of my wall. He was able to come the next day to patch up the hole, added three studs so I can hang shelves, and matched the texture of the wall. Easy and fast, fair price for the work." 5★★★★★ - "Was recommended Chris's advanced drywall by my brother and sister in laws we had two holes in the ceiling of our kitchen and fluorescent lighting we just wanted to get rid of. Chris and Andre came over gave us a quote on a Friday and started the following Monday. When Andre showed up first things first before he stepped foot into my house he started laying down plastic all the way to the kitchen there was no mass which I really appreciate. Chris and Andre are very professional at their job the job was done in 2 days which makes my life much easier great pricing all the work that was done I would highly recommend chris is advanced drywall two friends and family and when we get ready to remodel bathroom I know the first people I'm calling thank you again boys for all your hard work." 5★★★★★ - "Chris and his crew replaced some drywall in my house yesterday, and I couldn't be more pleased with the results. I had a section of drywall (floor to ceiling) that needed to be replaced due to a leak in the attic. I called Chris, sent him a picture of the job, he sent me a quote, and we scheduled an appointment for the next morning. They were in and out in only four hours! They were able to match the existing texture perfectly and cleaned up after themselves. I would call him again if needed." "We had two drywall repairs we needed done quickly and Chris was extremely responsive. Rather than just guess at what the job would cost he had me send him pictures and got right back to me with a quote, which he honored when the work was complete. One job was a relatively simple patch, but the other required taking a frame off a wall-mounted TV, setting drywall around an interior frame (working around the TV) and putting the exterior frame back up. Chris did exactly what was required to complete the work as asked. He was fast, friendly, and very easy to work with. I would definitely come back to him if I had another drywall project." "Called Chris at 8 in the morning, he responded in less than a 1/2 hour. Made an appt. for that afternoon, came and looked at the job, gave me a fair quote. he skimmed and textured the walls in a bathroom. He did all this in the same day! Came out great! Wife couldnt believe I got someone to do it in one day! Chris is great, cleaned up before he left. He's the guy to call for drywall repairs." 5★★★★★ - "I have called upon Chris Chamberlain several times in the past two years to repair damages to drywall in my home. He has been competitively priced, timely in his appointed arrival and thorough in his work. I would recommend him to anyone needing drywall repair services." 5★★★★★ - "I was very happy with the work Chris did. He showed up on time(actually 5 min early) and finished when he said he would and did what he said he would do. I would hire him again." 5★★★★★ - "Living Room ceiling hole (small water leak) is wonderfully repaired... You cannot tell there was damage... Additional drywall repairs in garage also very well done." 5★★★★★ - "Chris did an incredible job at fixing water damage in our bathroom. He matched and textured the walls perfectly. Beautiful work, great guy and very responsive to any questions and/or concerns you may have. Hire Chris if you want quality work." 5★★★★★ - "Chris was able to work as quick as possible. Finished very quickly. finished work looked like there was no damage at all." 5★★★★★ - "Chris went above and beyond what I hired him to do. 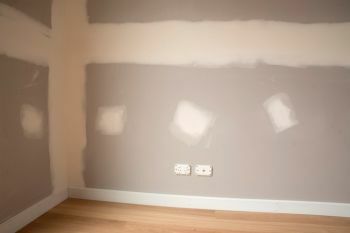 He found other areas that required some minor drywall touch up and addressed those areas without charging me extra. Being a contractor myself, I appreciate someone who does not try to nickel and dime you." 5★★★★★ - "Good work, project was complete fast!" 5★★★★★ - "Chris was quick to respond to my inquiry. I texted him some photos of the couple holes in the wall (very small job). He promptly responded with a fair quote and a time to come out the following day. They fixed the holes and matched the texture virtually identical to the existing texture on the walls. Not sure what more I could have asked for from them." 5★★★★★ - "Chris was quick to respond to my initial inquiry with a repair date and price. The work was excellent - the drywall patch matched nicely to the existing walls and ceilings. Chris's price was fair - my job was small so not much room to negotiate. I would call Chris again and would recommend to friends." 5★★★★★ - "Chris is a really nice guy who does very good drywall repairs. His quote was fair and he was great to work with. The job was a major drywall repair on our home after the whole house was re-plumbed . The work was done on high vaulted ceilings and bedroom which was difficult . He textured the drywall perfectly for paint work and took care of all the remaining cracks through the house included in his estimate. If you looking for drywall repairs then this is the guy you want to do business with. Fair pricing and quality work." 5★★★★★ - "Very good work! Excellent job matching the repair to the existing drywall. Took great care in protecting surrounding areas and thorough clean up after the job was finished!" 5★★★★★ - "Service was great and Chris worked swiftly." 5★★★★★ - "Chris called me right away and was able to come and complete the project the same day. He did a fantastic job. Very reasonably priced. I would highly recommend him." 5★★★★★ - "Chris did a great job on our drywall project. The finished product looks fantastic!" 5★★★★★ - "Chris called me right away and was able to come and complete the project in one day. We needed the ceiling re-textured and painted. Even though he doesn't do painting he referred me to a contact and quoted me on the spot. He took his time in draping the floor and walls and his quote was right where I needed it to be." 5★★★★★ - "I'm so glad that we had Chris come fix our drywall. He fixed two walls in my house totaling about 30sqft, finished in less than 2 hours, and did it cheaper than anyone else that i got quotes from. Excellent work. Showed up on time and was such a nice guy to work with. Thanks Chris!" 5★★★★★ - "Chris did a great job! He came when he said he would and matched the finish on our wall perfectly! There was a 3ft. by 1ft. hole in my wall cut out to fix my plumbing. You would never know it was there. No seams or other marks. I wouldn't hesitate to call him again. I have actually called him out for a second project he still did an amazing job, he came out was responsive and very professional once again and was able to take care of me within a couple of hours." 5★★★★★ - "After my request for work onilne, I received a call from Chris, of Chris' Advanced Drywall Repair the same day. I also received an email from another pro. When I received second call from Chris, I called him back and got an estimated. He and his associate Jefferson came out the following day and had the job done in less than an hour. They did great work, were very courteous, and very clean. I would definitely refer them to anyone that needs drywall repair."